Deb Lisa had a fabulous turnout at her signing and book party last Saturday at Sarasota News and Books. Check out the pictures here! 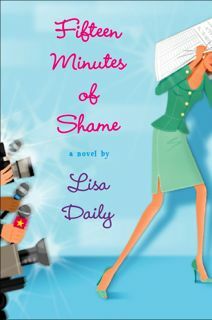 Lisa will be back on tour for Fifteen Minutes of Shame this week with stops in Raleigh, Jacksonville, Charlotte and Charleston. This week, Lisa was featured on DAYTIME (TV, syndicated) and the Sarasota Herald Tribune. GOT PEARLS? Stay tuned for details on how you could become a Debutante for the 2009 Debutante Ball Season. Polish up those tiaras ladies, we’ll be accepting applications soon. Good friend of the debs The Manic Mommy is running a contest on her blog that ends tonight! Scamper over right now and you could win one of four, count em four, signed copies of Emily Giffin’s latest and greatest! Don’t forget to check out the auction benefiting diabetes research over at Brenda Novak’s site.